TripAdvisor has launched a new portal for cruisers, taking cruise reviews and research mainstream for the travel site. The users of Trip Advisor will be able to read and write reviews, dig into ship itineraries and amenities, compare prices and shop for cruises. TripAdvisor Cruises is available in the United States and United Kingdom. The plan is to expand to other markets in the coming months. TripAdvisor also says that the TripAdvisor will continue to evolve with additional cruise lines and ships, along with more features and content. Bryan Saltzburg, president of TripAdvisor Flights, Cruise & Car said that the addition of cruise will help solve the complexity of planning and booking a voyage, supported by the confidence of rich user-generated content with reviews and photos from millions of TripAdvisor members. TripAdvisor is taking advantage of a booming market. 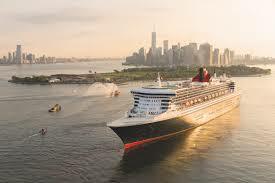 The cruise industry group Cruise Lines International Association projects 30 million ocean cruise passengers in 2019, up significantly from the 17.8 million cruisers in 2009. In 2007, TripAdvisor acquired Cruise Critic, a cruise-specific site that features more than 350,000 reviews. TripAdvisor claims 730 million reviews across travel sectors, including accommodations, airlines, experiences, restaurants and now cruises. The site says it has 490 million unique monthly users. Cruise Critic will continue to operate independently of TripAdvisor.